Displaying 31 - 35 of 49 results matching your search criteria. 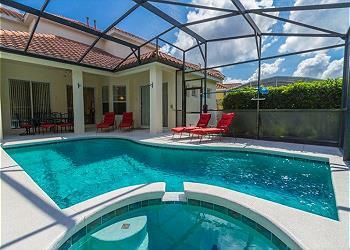 Sanctuary Del Sol is a gorgeous 5 bedroom pool home near DISNEY. With updated furnishings, you will be living in luxury on your vacation! 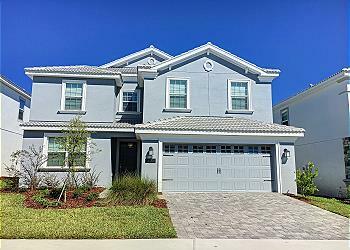 Two Story Home in Gated Community with Two Master Bedrooms which have Private Bathrooms that have Garden Tubs and Separate Shower. Private Pool and Spa with extra privacy! 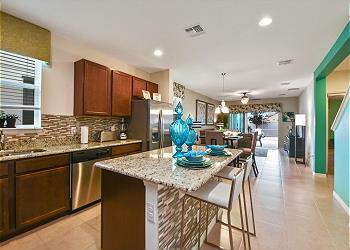 Spacious Kitchen and Two Separate Sitting Areas. 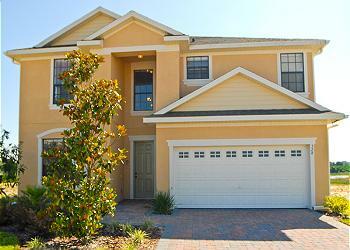 Two Story home in Gated community with lots of amenities! Game room. Private South facing pool and spa with extra privacy. Pool Bath. Complimentary Wi-Fi! Two master bedrooms with private bathrooms - one with garden tub! Three separate sitting areas. 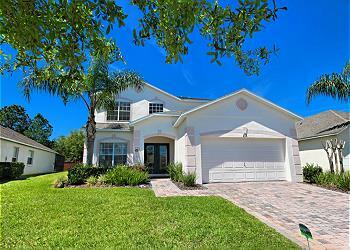 Beautiful Two Story home in Resort Community. Three Master Suites with Private Bathrooms! Private pool and Spa with extra privacy! Two Lounge Areas. Breakfast Nook and Formal Dining. Game Room. Complimentary WiFi!